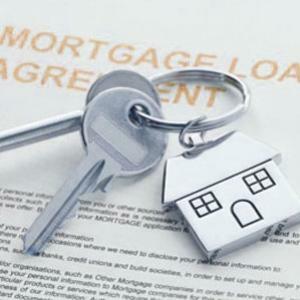 Is it wise to prepay mortgage loans? To do this, a mortgage is normally taken out and then needs to be repaid. The American dream is to acquire a home of one’s own usually as soon as possible. To do this, a mortgage is normally taken out and then needs to be repaid. However, once a home is acquired, owners also become intent on paying the mortgage off as soon as possible. There are pros and cons to paying off mortgage early and each individual should look over the various options and decide for themselves if it’s a good move for them or not. Because mortgage loans are long-term, they incur a great deal of interest over their lifespan. Therefore, prepaying your mortgage loan reduces the overall amount which, in turn, saves a large amount of cash that would normally go to pay the accrued interest. As mentioned, when you prepay mortgage, you reduce the overall loan amount sooner than the loan contract specifies. Prepaying your mortgage loan allows you two options, either of which can be advantageous depending on individual circumstances. Option one allows you to reduce the number of installments on your mortgage loan. Therefore, instead of having to make 120 installment payments, for example, you may only have to make 110. This option shortens the length of time that you are committed to paying the loan. Option two is to have the total installments remain the same, but reduce instead the amounts owed each month. For example, you would still make the 120 installment payments, but they might be reduced by $500 per month. This option frees up monthly cash that can be used for other payments, items, or investments. Some people that are in a hurry to prepay mortgage might use earned or won cash assets to place on them. For example, someone might receive an inheritance, win a substantial amount via the lottery, or receive a nice work bonus and then rush to place that extra cash on their mortgage. However, you must consider the overall situation to determine if that cash might be better saved for some unforeseen emergency. Extra cash used for paying off mortgage early will only reduce your loan life by a couple years. If you have a 120 month loan, dropping it a couple of years still leaves you at least 10 years worth of payments. If you place your extra cash in the home, you may end up in financial trouble if an emergency occurs and you don’t have anything saved. Also, investing the extra cash can provide better benefits than prepaying your mortgage loan. Certain money-market accounts and other investment vehicles can pay higher rates and provide better cash payoffs which would be more beneficial than adding that extra cash to your mortgage. A house and its included property is one of the most powerful assets you can have. The sooner you pay it off and obtain the lien-free deed, the sooner you will have the leverage that owning a home outright provides. Prepaying your mortgage loan along the way increases the equity amount that you have available. If an emergency or other financial need arises, you can refinance for the required amount or seek an equity line of credit to obtain it. Regardless of whether you choose to prepay mortgage or stick with the original payment plan, your credit score will be improved as long as you pay on time throughout the contract. By prepaying your mortgage loan, you show creditors that you make an effort to pay off your debts early. By sticking with the contractual mortgage agreement, you show consistency and faithfulness in making monthly payments on time over a lengthy period. Your credit score is another valuable asset that you want to not only build, but also protect against tarnishment. You should view your credit scores on a regular basis to ensure that errors have not been applied which can damage your credit rating. Page loaded in 0.974 seconds.